Sony has announced the arrival of a closed beta for its PlayStation Suite SDK, which comes with an emulator so developers can try out what their games will look like on the PS Vita and other PlayStation certified devices. As this is a closed beta, Sony is being coy about who it is letting get their mitts on the software development kit. To apply for the kit, you have to fill out an application form and be in the US, UK or Japan. Oh, and you have to have a PC supporting Windows XP or Windows 7. Check out or PS Vita - what you need to know video. "By supporting development for multiple devices and by adopting libraries designed to create a variety of gaming and non-gaming content, PS Suite SDK will not only help developers reduce costs for creating new content, but also allow them to efficiently create their content on one SDK and use it for multiple devices," said Sony about the release. Back in October TechRadar found out that PlayStation certification won't be limited to Sony smartphones, so if a developer does get on board with the program they should expect a lot of coverage for their game. 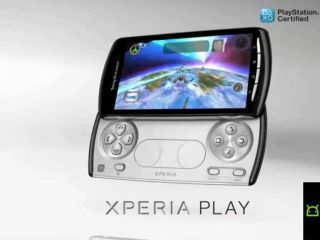 2012 looks to be an exciting time for Sony, what with the release of the PlayStation Vita and also what is promised to be 'a new type of television'.